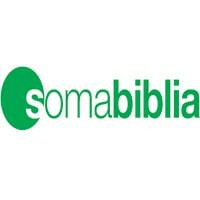 Soma Biblia is an Evangelical Lutheran Literature Ministry registered in Tanzania. Our main functions are Publication, selling and distribution of; – Bibles, Christian literature and other Church Supplies to churches and society at large through our book centers in Dar es Salaam, Iringa, Mwanza, Arusha, Mbeya and our mobile distribution network. We are looking for a dynamic, focused Tanzanian, and a devoted follower of Christ, to fill the post of Branch Manager Trainee to be stationed in our Dar es Salaam or Mbeya branch. Planning, coordinating, directing and controlling sales and distribution in the lines of; – sales trips, church sales, town sales, bookshop sales, etc. Ensure that all bookshop, town, trip and church sales are properly documented and accounted for. Ensure stocks at the store, bookshop, sales vehicles and church boxes are periodically counted, reconciled and differences investigated and made good. Bachelor’s degree in marketing or Business Administration or Commerce. Experience of sales and marketing for at least two years. A devoted follower of Christ with unquestionable ethics and integrity.